Have you ever wondered how those really seasonal tourist places are in their shoulder and offseason? I had some time to spare in October one year and decided to head for Portugal’s south coast. For mainly two reasons, I wanted to go somewhere warmer and not too far away from Norway, I’d never been to Portugal. A variable may also be that I found affordable tickets to Faro. So a week after buying the tickets, I was on my way with my backpack as a carry-on. 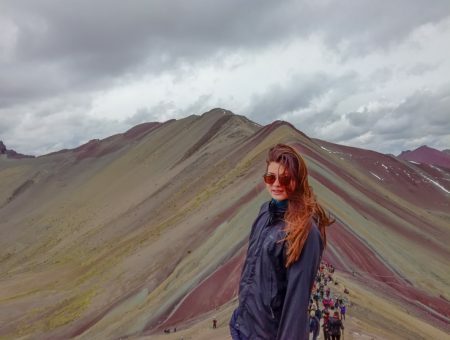 Portugal also ended up being my first solo traveler adventure, and a warm up to what I planned on being a 3 months adventure in Latin America, but that ended up being a 16 months adventure. Here is a little more about that, and an introduction to me! 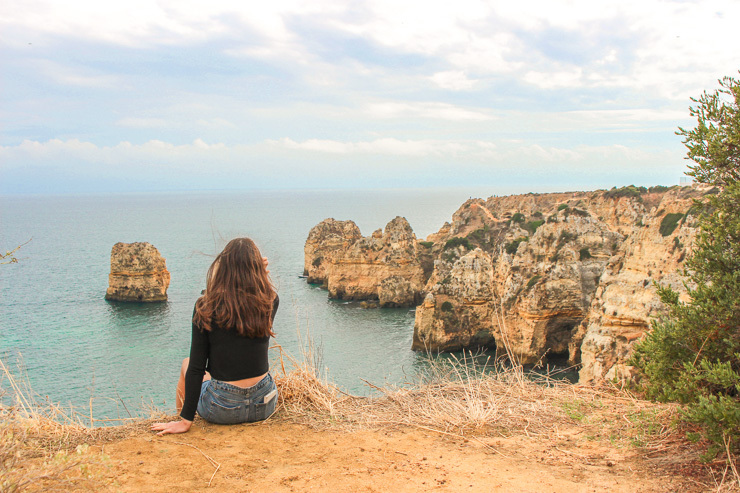 Traveling Algarve couldn’t have been a better way to ease into the solo traveling way of life! And, who can say no to Portugal’s beautiful algarve coast? 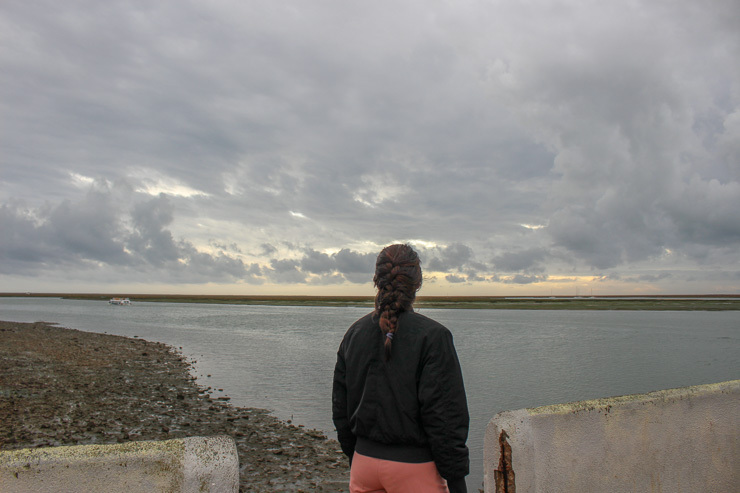 In this post, I’ll share some information about the cities I visited, how it was to backpack Algarve in the off season. 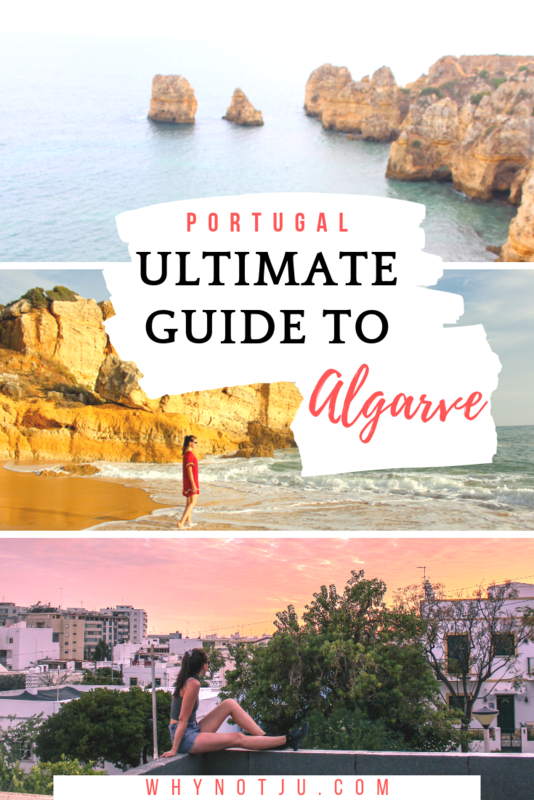 I will also share my Algarve 10 day itinerary as well as an itinerary suggestion if you’re short on time. Hope it spikes your interest for Portugal! 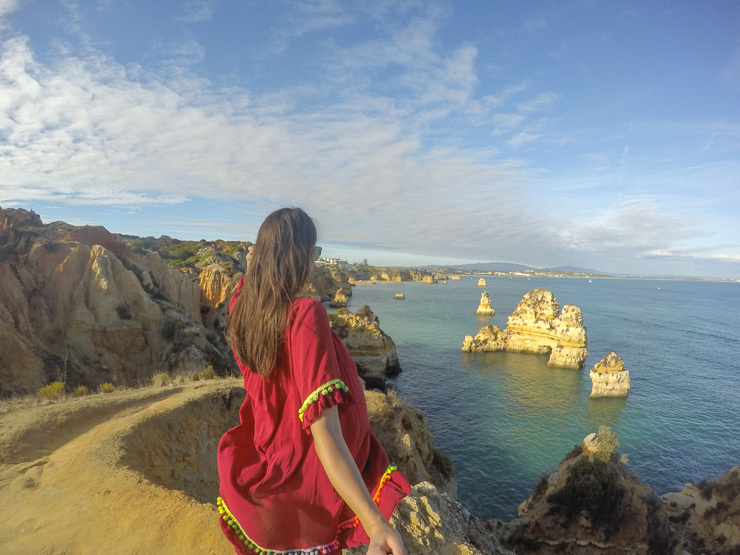 Should you visit Algarve in October? First of all, it is easy to travel in-between the cities in the south of Portugal. There are buses departing several times a day from the terminals in the cities. The bus tickets have a set price, no matter how far you’re going in the area. If you’re more adventurous it is also pretty easy to hitchhike here. If you are ok with hitchhiking, it will serve you well to get around in the area. 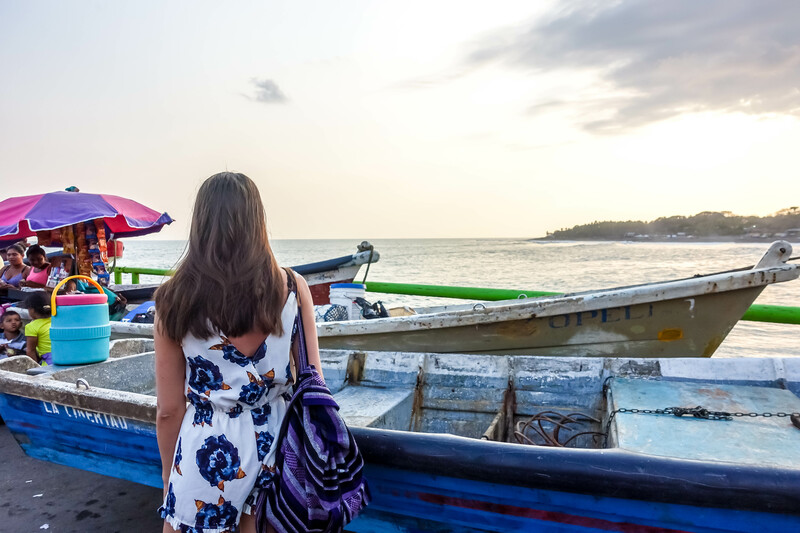 Like mentioned, the bus connections between the different towns are good, but if you want to explore more off “the beaten path” beaches and location, hitchhiking or a rental car is ideal. With that said, I traveled mainly by bus and did a little blit of hichhiking and got around just fine! The Algarve is definitely an obligatory part of a decent Portugal road trip. I started my trip to Faro, where I arrived at the Airport pretty late. Faro International Airport is about 4 km outside of town. Getting from the airport to Faro is easy. Bus no. 16 by the company Proximo, runs by the airport every 20 minutes. It runs from 5 am to 11 pm and cost 2.30 € per person. Here is a map with all of Proximos routes. There is also always the potion of taking a taxi to Faro, that will cost you more or less 10 €. If you are looking to transfer from Faro airport to Albufeira or Lagos, there are shuttle options at the airport starting from around 30 €. If you’re up for it though, it pays off to take the local bus to Faro terminal. At the terminal, in Portuguese, “Faro Rodoviario”, you can catch another local bus to your final destination. Remember to buy your ticket at the ticket office, as they don’t sell tickets on the bus. The regional bus tickets are a fixed price of 6,20€! Right next to the Faro Rodoviario is the train station. 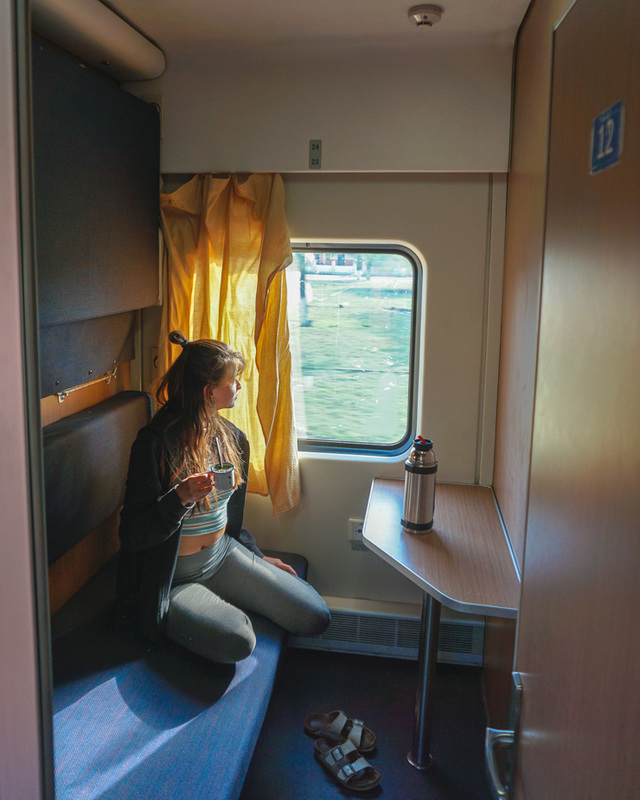 Train go to not just cities in Algarve, but also to cities all around Portugal, and even to Spain. The train is generally a little bit more expensive than the bus, but also faster and more comfortable. The regional train has a set fare price, just as the buses, at 7,40€. 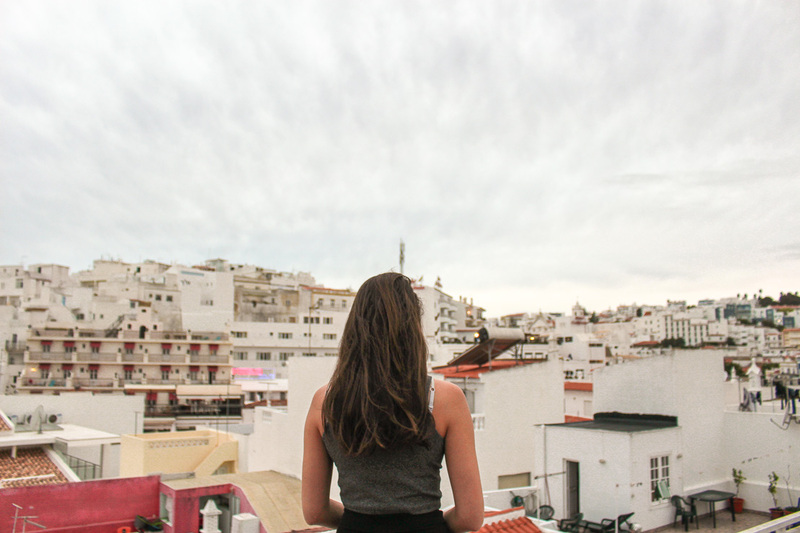 Though, if you’re already landing at Faro Airport, you should consider getting to know the city before you head on to the other towns of Algarve. For more information about train and bus connections in Algarve see AlgarveBus. They are not an official site for the public transortation in the area. After my experience though, do provide solid information. Faro is often a first or last stop for travelers. Either they fly in or out of the airport, or head to Spain from there. It’s often a bit overlooked by tourists as it is a transit city. Still, after my opinion, it has a lot to offer. Faro is the capital city and administrative center of the region of Algarve. 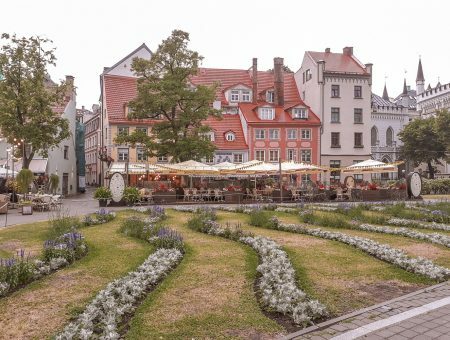 It’s small and cute and has a stunning old town covered with cobbled streets. As mentioned, Faro isn’t just a gateway to the rest of the Algarve coast and there are a variety of things to do there. It’s the city most alive and existing with or without tourists, if you ask me. Right outside of the center of Faro is The University of Algarve. It usually has around 10 000 students in the subjects of administrative and financial autonomy, marine sciences, tourism management, biotechnology and arts. If you visit during fall, you can expect to see quite a few students roaming the streets. Faro has a “port”, but there is no beach in walking distance from the city center, like may other cities in Algarve has. But just a short ferry ride from the port and you’ll find yourself at an island with a beach. Walk around the old town, still behind city walls that date back to the 9th century. Sit down and have lunch or a coffee at one of the many cozy outdoor cafes in the area. Apart from the oldtowns beautiful architecture and cobblestoned streets, there is also a Roman Catholic cathedral from the 13th century, more exactly 1251 in Faro. The cathedral named, Igreja da Sé, is beautiful from the outside, but has a great view from the belltower. Entrance fee is 7 Euros though. The Capela dos Ossos is located in the church “Igreja do Carmo” in Faro. The church is beautiful and has a big cobbled square on the front of it. However, there is more to this church then the outside tends to give away. It’s not just any church with a chapel. The inside of the chapel is decorated with bones from what has been calculated to be over 1000 skeletons. The history behind this rather unnormal chapel interior, is that the bones belonged to monks of the monastery in Faro, from the Carmel order. They where removed from the overfilled cemetery in the 19th century, to make space for new burrials. It’s definitely bizare, but worth a visit. Entrance fee is only 2 euros. 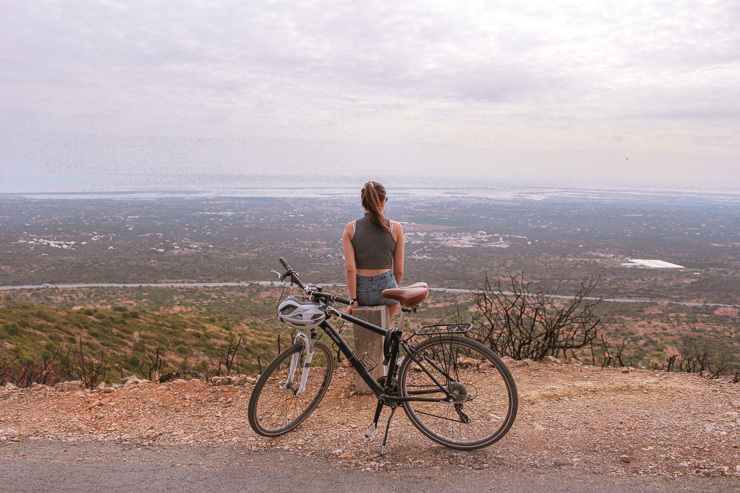 On my second day in Algarve, I did a bike ride to a mountain called San Miguel. The mountain is located about 15 km inland from Faro. 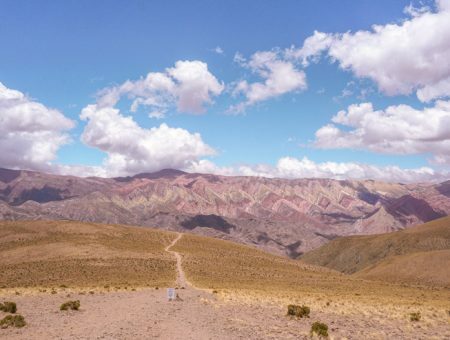 The San Miguel mountain is 410 meters above sea level and offers a great view of the area, and you can almost see across to Spain from the top. Such a tough ride, but it was amazing to bike past all the different fields filled with different fruit trees. I find it so fascinating to see trees full of pomegranate and oranges as we don’t have that kind of stuff in Norway. Finding the way is easy enough as you follow the main road and signs. I would still recommend having some kind of map with you as there are some turns that where a bit trickier then others. If biking isn’t for you, you can always go by car. If you rent a car, you also have the option of catching the sunset from the top, something I believe must be incredible. There are no entrance fees. Bike rental in Faro is around 8 euros per day. Ria Formosais is a National Park consisting of a 19 km long system of islands and saltwater lagoons. They are all connected to the sea through 5 natural inlets, and 1 manmade inlet, made to make easier access to the port of Faro. The park stretches from Faro to the town of Tavira. The natural park of Ria Formosa has a variety of bird, like Flamengos, need I say more? Ok, the park also have a great aquatic life, as well as good conditions for sports like wind and kite surfing as well as canoeing, rowing and snorkeling. There are also ferries that go to different islands outside Faro for a couple of euros. A oneway ticket starts at about 1,6€ and a roundtrip around 3€. 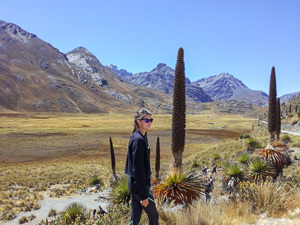 But there are also a lot of tours offered, where you have the opportunity to learn more about the National Park. One of the places you can visit with just the normal ferry is Ilha Deserta also called Ilha da Barreta, a sandbar island, with beautiful beaches and sand dunes. From ILha Deserta you can walk to the most southern point of the mainland of Portugal, Cabo de Santa Maria. Praia de Faro is the place to go, if you’re just looking to get to a beach, quick and easy. It’s reachable from Faro by bus no. 16, the same that passes by the airport. There are a bunch of other sandbar islands and experiences to have in Ria Formosa and you can easily spend days, just exploring the national park. Albufeira is about a 40 minutes bus ride from Faro. This town is completely different from Faro and pretty touristy. I imagine that during the winter there is not a lot of people left there, if any at all. Albufeira mainly used to be a fishing village, but these days the people living there are mostly making a living of off tourism. Still, it’s a beautiful town with lots of activities, beaches and tour offers that definitely is worth considering. 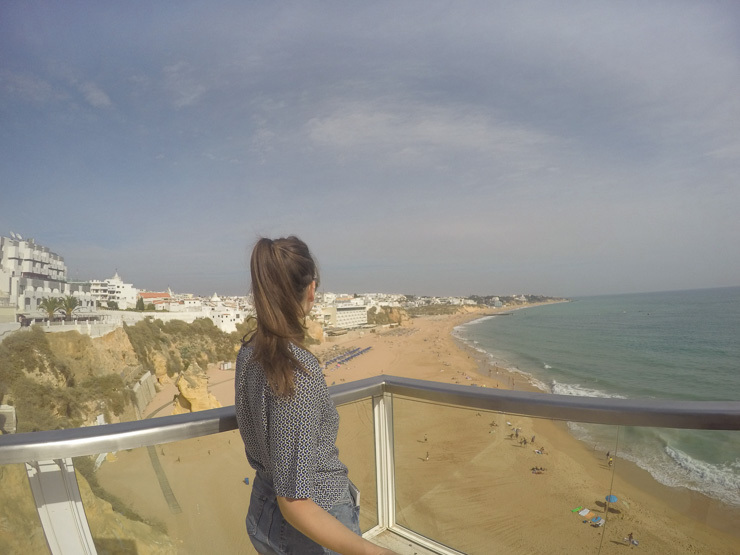 When I visited I opted for the free things to do in Albufeira, even though there are a lot of tours leaving from Albufeira too. Tours with activities like f. ex. dolphin watching, and diving! In general, though, Albufeira is surrounded by great beaches, close to popular diving locations, and has some great areas for watersport activities. This point might sound super basic, but Albufeira actually consists of two parts. The town, or the old town, and a 30 minutes walk away, the marina. The old town area is super cute, with lots of white buildings, small streets, and a huge beach in front of it. It’s largely located in the hillside, and coming from other parts of Algarve, you’ll have to drive/walk down a steep winding road. 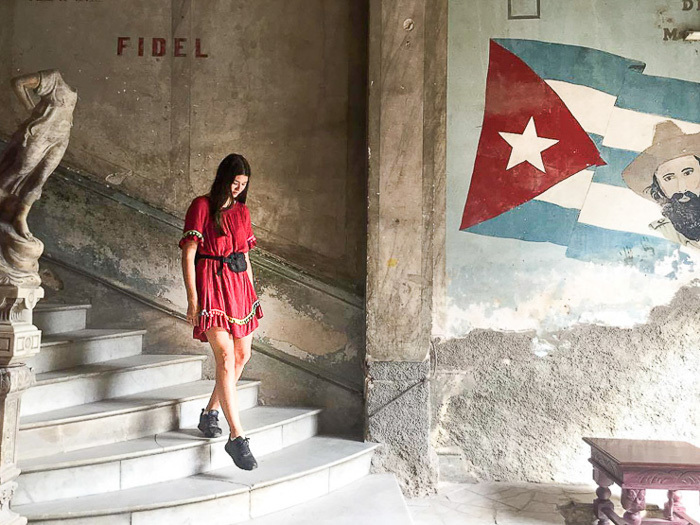 You’ll find the town filled with restaurants offering everything from Mexican food to traditional Portuguese cuisine, souvenir shops and a main square filled with more souvenir stands. To get to the Marina of Albufeira you have to walk about 2,5 km from the old town. 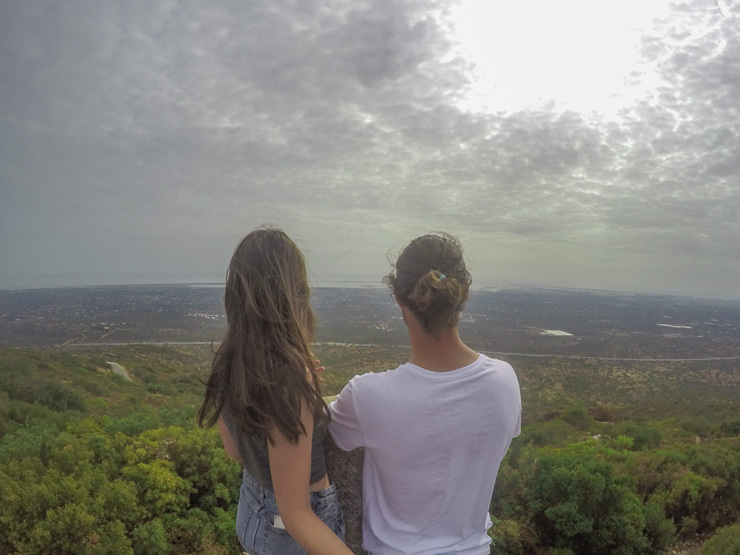 The road is along the cliffside, with a beautiful view over the beach, Praia dos Pescadores(fishermen’s beach) and more of the widespread parts of Albufeira. You also pass a viewpoint with a terrace over the beach and an elevator that takes you down to the beach if you want to. The elevator Elevador do Peneco, takes you down 25 meters to Praia do Peneco. Be aware that it’s only functioning during the summer months, but the terrace still offers a beautiful view all year round! 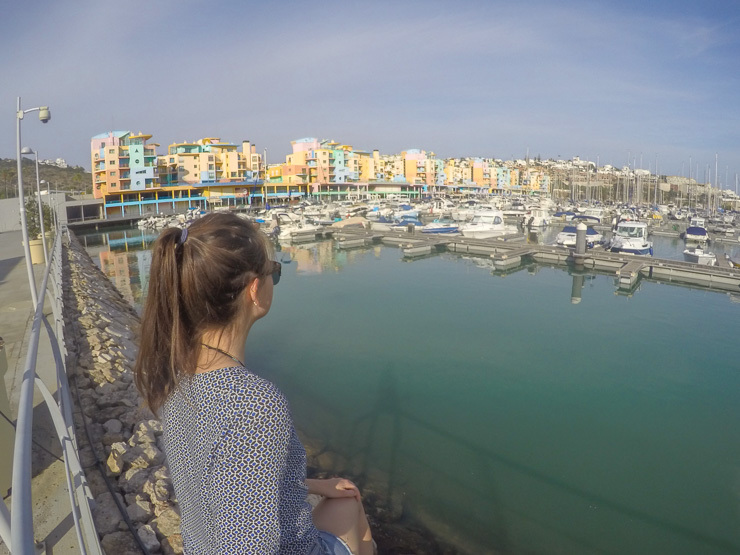 The Albufeira Marina is worth the 30 minute walk, not just cause the walk offers beautiful views. The marina consists of a line of colorful houses. They are more modern and newer than the architecture in the old town and houses some great restaurants. A lot of boat tours also starts from the Marina, so it can be a good idea to go and check out the area for a good deal. The Hillside, past the Marina offers a variety of restaurants, and if you have the opportunity, they are definitely worth checking out. They are, of course touristy, as any restaurant in the area. Still, they have a different vibe then the restaurants lining the main square of Albufeira’s old town. I arrived Albufeira early afternoon and decided to take the road to one of the beaches out of town. When I finally reached Sao Rafael beach, I was just in time to catch the sunset. With almost no other people around it was a really beautiful experience. You can make a day or two out of walking along the coast from beach to beach. You’ll see the amazing cliffs along the way. And finish with an amazing sunset if you’re lucky. Past the marina, you can reach various beaches from the main road, like Sao Rafael beach. The beaches on the other side of Albufeira, f. ex Praia da Oura, are reachable by walking along the beach. Make sure you start early and that it will be low tide while you are walking. Most hostels and hotels will have information about the tides, so ask them to be sure. That way you’ll make it along the beach the whole way before the tides get too high. 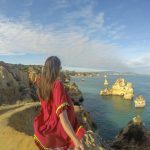 Be aware that to do this walks, you might have to climb on the cliffs in some areas, so if you’re not ok with that, it would be better to take a bus directly to Praia da Oura. To get back to Albufeira, you can eighter take a taxi, bus or hitchhike. In the high season, there are more bus and transportation options. Albufeira isn’t just known for its beaches, but also as a pretty big party location. Even when I visited in October, there where clubs with blasting music and crowds, and it wasn’t even the weekend. So if you’re looking to party, this is definitely the place in Algarve to do that. Lagos might be the most visited location in the Algarve, and not without reason. Located in the river mouth of Bensafrim River. It has some beautiful cliff beaches and the proximity to good surf spots makes this the base for many surf schools and surfer hostels. Yet, Lagos had a beautiful walled old town and lot of history dating back more than 200 years. Take at least one day to get to know the town of Lagos. Lagos was the administrative capital of Algarve from 1577 and the town has been fortified various times through the centuries. The walls that stand around the old town today are Moorish walls like the ones that stands around Faros old town and are from the 16th century. Made to protect the city from pirates and the Spanish. Don’t miss the arched entrance to the old town, Porta de São Gonçalo with barbicans on each side. After getting to know the old town of Lagos, head down to the fortress by the waterfront, named Forte da Ponta da Bandeira. It was built around the1690 and with the town walls, served an important role in defending Lagos. The entrance fee to the fortress is 1,5€ and include entrance to the museum and chapel on the property. In addition to history the fortress also offers a great view of Lagos and the area. After getting to know the town of Lagos you can take a walk along Praia Meia, a 4km long beach on the front of Lagos. There are also bus and train connections to the parts of Praia Meira that are further away. Make a day out of walking along the cliffs outside Lagos. You can easily reach the trail from the city. Along the walk are various beaches. 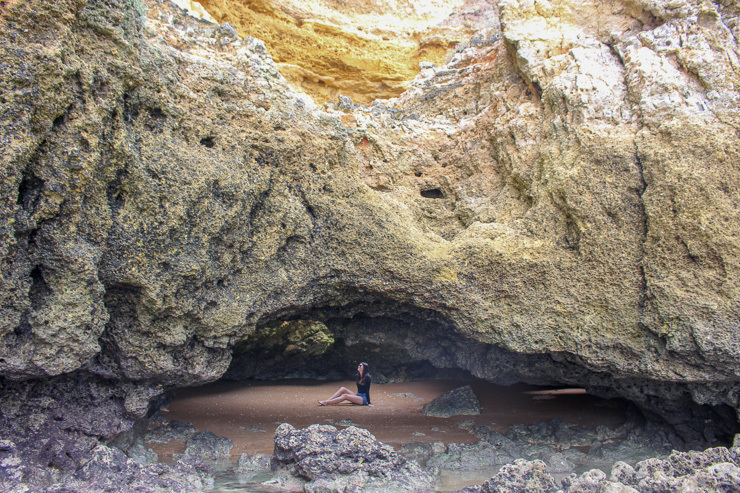 At low tide, you can also walk along the beaches to find coves and caves! 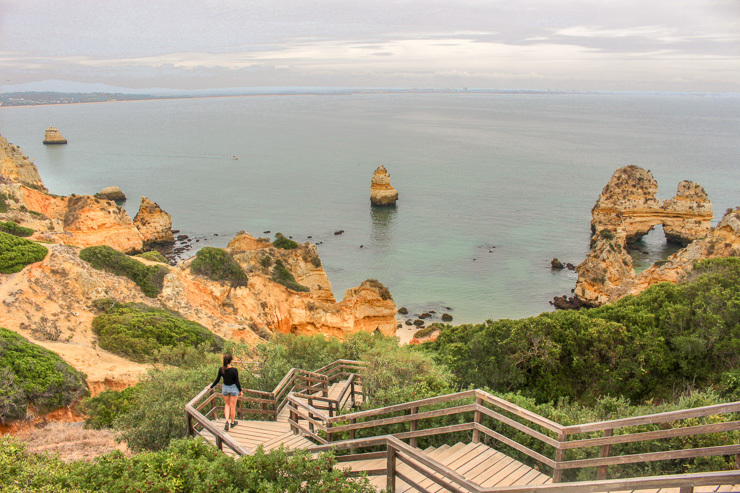 End your hike at the lighthouse Farol da Ponta da Piedade. Catch the sunset on one of the beautiful cliff viewpoints on the way back to Lagos! Some beaches that can be visited along the walk to the lighthouse are; Praia Dona Ana, Praia da Boneca, Praia do Camilo and Praia da Balança. Praia Dona Ana can be skipped and visited another day if you want to make your hike a bit shorter and start along the road. Sitting on the edge of the cliffs there, looking into the clear blue water, such a liberating, and thrilling feeling. If you’re lucky you’ll find a cave on your route as well. After exploring the beaches on one side of the cliff walk towards the lighthouse, there are other trails and beaches along the other side. They can be reached by hiking and some by driving. You can basically spend days and days just exploring beaches, all lying below the beautiful orange and red cliffs. Like already mentioned, Lagos is a base for many surfers, and not without reason. Around Lagos there are amazing surfer beaches. Take the opportunity and take some surf lessons. If you want to go all in, you can even find surf camps in the area that offer 1 or 2 weeks of intensive surf lessons. There are various tours going from Lagos. There are boat and kayak tours to different caves. Be aware though, that these might be canceled when the water is too rough. Unfortunately, the water was too rough to do a cave tour when I visited, but I would definitely do it another time. You can also do dolphin watching tour and trips to other towns. Although the last one is very easily done alone. Day 1. 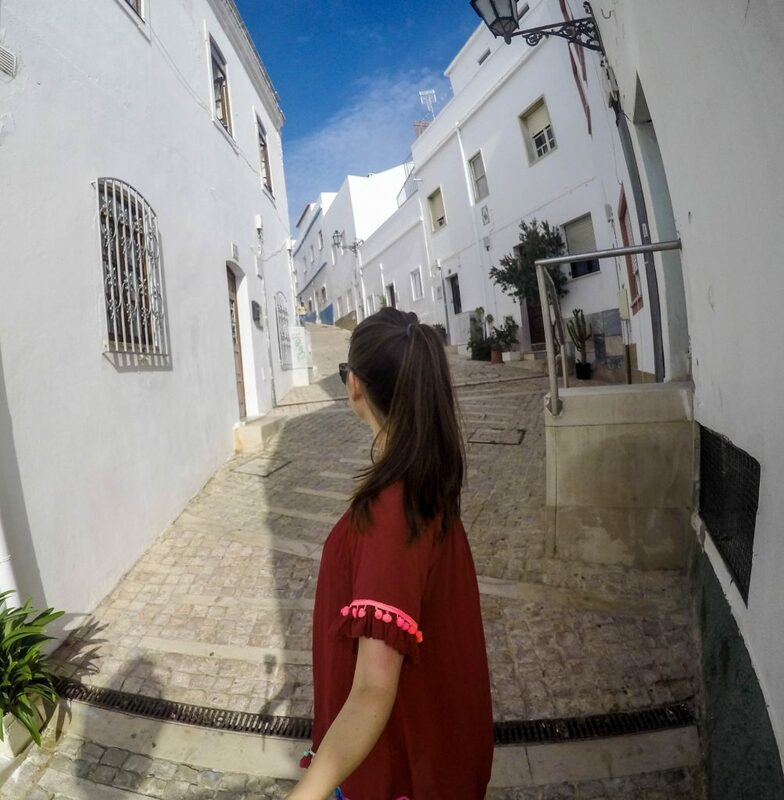 Arrive in Faro, get to know the city and the old town. 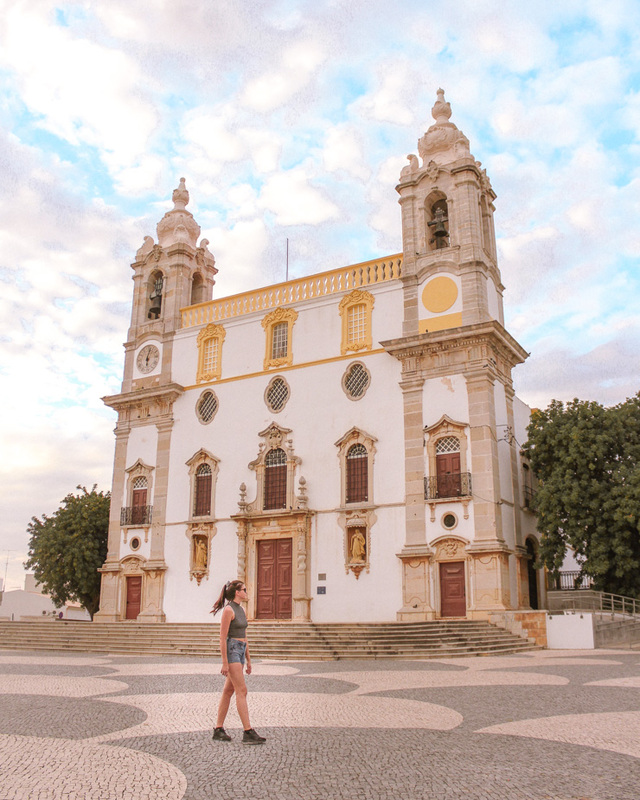 Check out the cathedral of Faro from the 13th century. Its beautiful from the outside, but has a great view from the belltower. Entrance fee is 7 Euros though. Day 2. 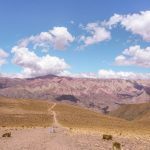 Rent a bike and bike to the mountain of San Martin. If you go by bike this will take the whole day. 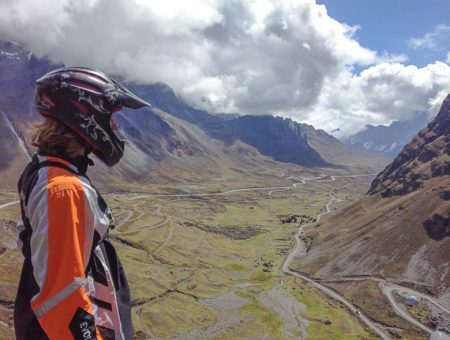 Is a tough ride, but the view from the top of the mountain is amazing! If you do have a car though you should go for sunset and during the day, do my suggestion for day 3. Day 3. Explore Ria Formosa! Rent a bike and bike along some of the over 60km long walkway in the national park of Ria Formosa. Cabo de Santa Maria. Or do a tour from Faro to explore and learn more about the area. 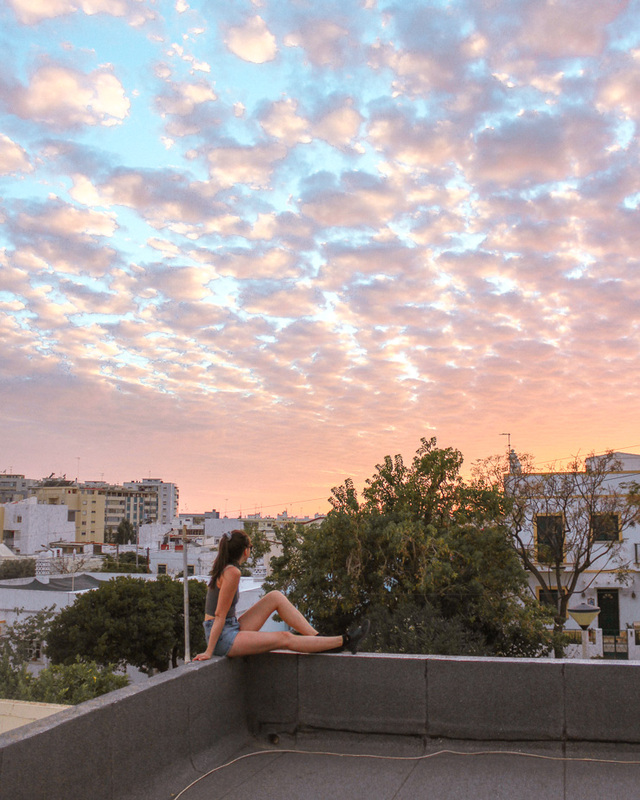 Catch the sunset from Praia do Faro! Day 4. Take a morning bus to Albufeira. Get to know town, and walk to the Marina area. Take in the views and have lunch somewhere along the way. Day 5. Check when the low-tide in Albufeira is when you’re there. Then start in good time and walk the whole stretch of beach from Albufeira to Praia da Oura. Enjoy the beach and sunset when you get there, and catch a bus back to town. This is just for those in good shape and those that are fine with some climbing from time to time. Day 6. Walk to Albufeira marina. Follow the road on the back side of the houses when you get there, to Praia Sao Rafael. Spend the day on this little, beautiful secluded beach. Day 7. Get to Lagos in the morning. Start off by exploring the old town of Lagos as well as the city walls. 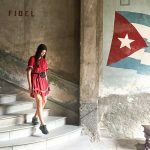 After lunch, head over to the fortress in the river mouth to visit the museum, the view from the fortress and see the sunset from the beach right in front of it. Day 8. Get up early, make lunch and get ready for a day of walking, exploring and beaches. Spend the day walking along the cliffs, and check out beaches along the way. End up at the Lighthouse, and catch the sunset on the way back. Day 9. Take a day of surfing, or check out the many caves in the area with a kayak tour in Lagos. Day 10. Spent one last day relaxing on your favourite beach beneath Lagos cliffs. I assume you know the basics. Here are a couple of items that might be good to have on your algarve vacation. Good walking/hiking shoes – I prefer traveling with a pair of lightweight, comfortable trainers. If you like to be active and want to discoer algarve by foot a good pair of shoes, are definitely worth brigning. I’ve had quite a few pairs as i use them until they basically fall apart. These ones might be my next investemt. Waterproof bag – I have one of these ones and they are great for active travelers. One is especially handy traveling Algarve. When you want to hike between beaches, look for caves and hidden spots, maybe kayak and do a boat tour. It’s practical to have one of these to keep your belongings dry. Water and sunresistant t-shirt/long-sleeve – This is for those of you that plan on going on a boat or kayak tour. It’s highly likely that you won’t have enough time to apply sunscreen as many times as you need. And with one of these t-shirts, you have one less worry. It’s also great for a day of hiking, exploring in the sun and for swimming and snorkeling. I wouldn’t let the fact that the summer is over, scare you. Algarve was as beautiful as ever, with less crowds on the beaches. Be aware though, that it can be a bit windier this time of year, and some days might be a bit cold for the beach. Still, there is so many things to see in Algarve that doesn’t depend on summer temperatures. The facrt that the temperstures are at a more bearable level, makes it easier to have an active trip. 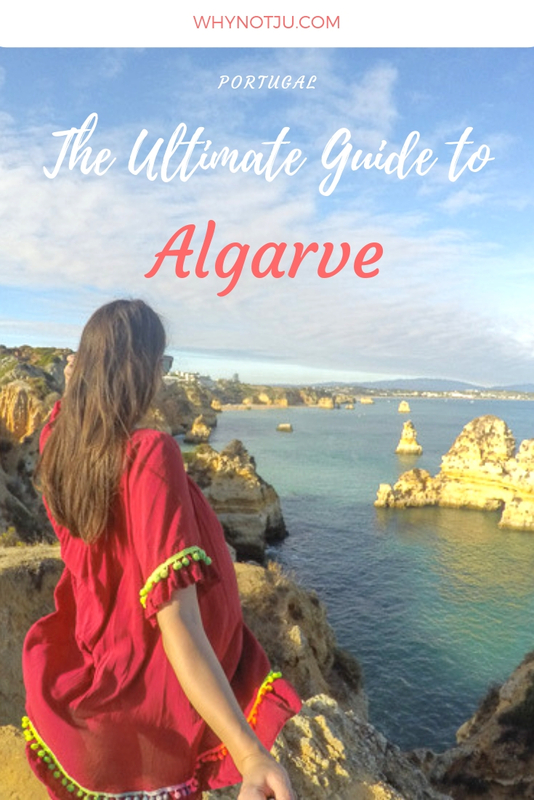 If you want to check out more stuff to do in Algarve. 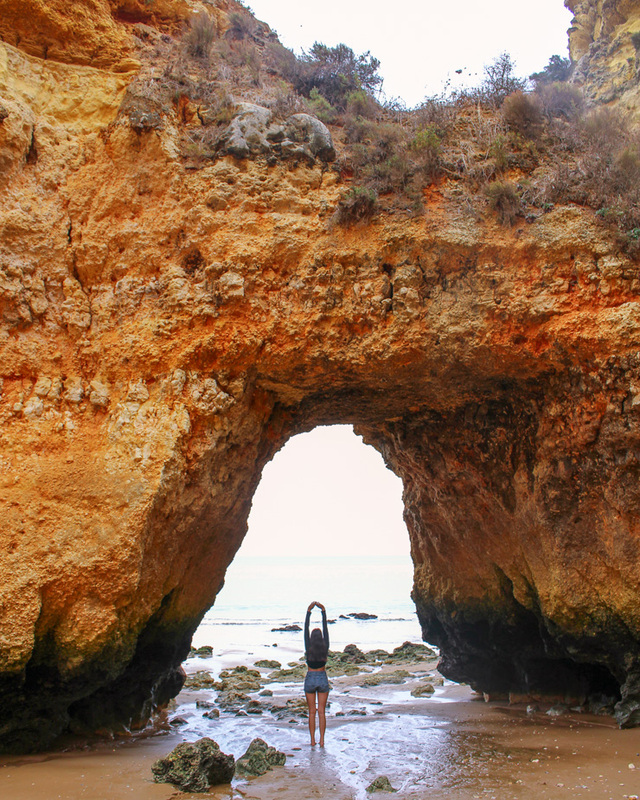 I suggest you check out Algarve tourist and visit Portugal. I’ve been to Lisbon (loved it by the way!) but wasn’t really sure if the rest of Portugal appealed to me until I read this post! 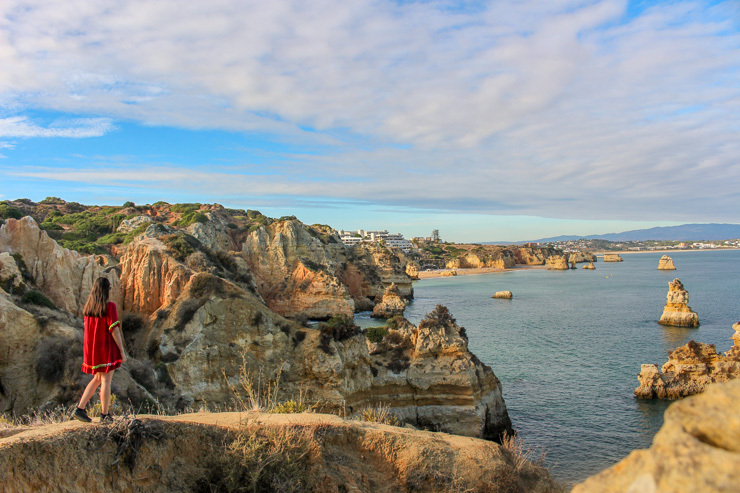 The Algarve looks absolutely stunning and actually a really easy place to travel to. Maybe I’ll be going back to Portugal sooner than I thought! Glad you enjoyed the Algarve. I’m lucky to now call it home although I live in the Eastern Algarve closer to the Spanish border. And October is a perfect time to visit! Your pictures are beautiful! Portugal is definitely on my bucket list. I hope to visit by the end of the year! Good to know that you can use public transit and hitchhiking to get around! Everything I’ve read about this part of Portugal recommends renting a car, but I don’t drive. Would love to do this as a solo adventure someday! Omg now that I’ve seen your pictures, I need to go! Algarve looks absolutely amazing! I am totally in love with Spain. Especially Andalusia, which is just a few hours driving away. I should really make the step and visit the Algarve. It looks great! 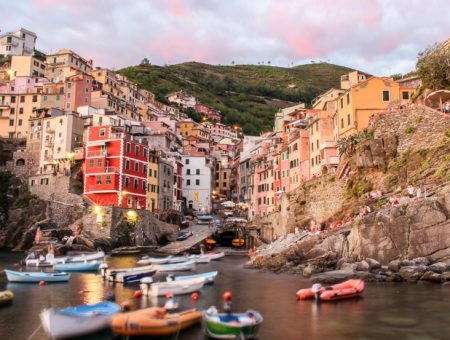 This looks like a fantastic itinerary jam-packed with activity and natural sightseeing! We want to visit Portugal very soon – my wife Lisa has been before but I haven’t, and she keeps saying we need to go together. The Algarve looks like the most beautiful part of the country. I have been wanting to get to Algarve with my family. I went with my parents when I was young and remember how beautiful it is. Your pictures and descriptions took me back to those memories. I love traveling a bit off season, so I’m sure October was a great time to visit. I’m in it for the fresh seafood too. This is such an extensive guide! Your photos are beautiful! I haven’t been to Portugal yet but I’ve always wanted to go. I’ll save this post for when I finally make it to Portugal! I am really looking forward to coming back to Portugal and your post was a such inspirational piece. Loved your itinerary and I second you in saying that places off season are very much enjoyable. I might organize a trip there next autumn. Hello fellow solo traveller! Lol. Not done Portugal yet but I have the Algarve on my list. It’s interesting because I come from Lagos, not in Portugal, but in Nigeria, West Africa. The Portuguese named it so for the hundreds of lagoons in the area so I’d love to experience where our name came from. Very incisive and detailed post. Really good! 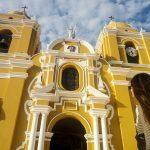 I really appreciated how you not only recapped what you loved about your visit here, but then put together a great itinerary at the end, and tips for packing. Great post! I hadn’t heard of Lagos, but it looks so beautiful!!! Cheers! Pinned this for future reference! We’re just starting to think about a trip to Europe with our boys and Portugal is somewhere we’d like to spend a bit of time exploring. This will come in handy!!! I went to Portugal a few years ago and visited Lagos, but not the other two cities. My fave city was actually Porto! All the pictures echoed one word …. SERENITY. I just loved reading your post and those photographs are alluring really. Algarve is so beautiful! I’m dreaming of going back. Did you find that lots of restaurants were closed in October? This is so perfect. I’m travelling to Algarve in April – going to refer back to this post. The actual reason precisely fantastic reason why casinos deliver absolutely free drinks. But both the rational or romantic individuals will love this gaming zone a boatload. 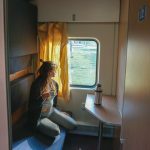 I loved reading this fantastic detailed post, I an planing on exploring Europe more over the summer, so Have bookmarked your post, your photos are stunning. Looks like you had a great time.